Ah I have another little book worm. 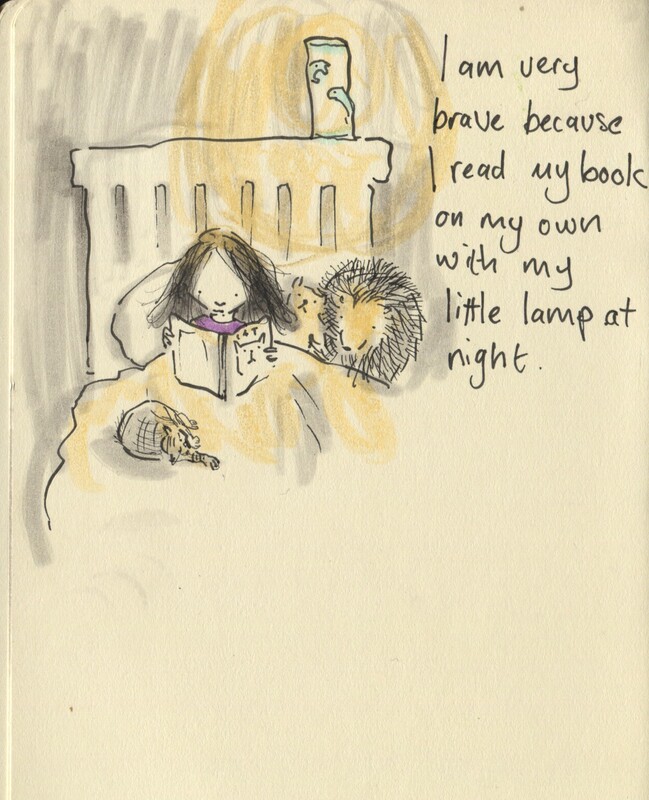 Posted on November 8, 2013, in Uncategorized and tagged Books, Children, Doodlemum, Drawing, Family, Humour, Illustration, Life, Pen and Ink, Sketchbook. Bookmark the permalink. 7 Comments. Now you’ll never get her to sleep! Welcome to the wonderful world of reading, little one!! You are safe with Arnie beside you. All books are better when tucked up in bed- and Evie has plenty of animals to protect her! Happy reading! Fierce attack-cat on guard, though.